Many thanks, once again, for tuning in last night. Check out last night’s playlist (see below) AND why not also listen to the show again – click here!! The ‘Request-Line’ will be posted up on the Facebook Group this Sunday and also on Twitter. It gives you a chance to hear what YOU want played on the radio…after all, it’s your show!! 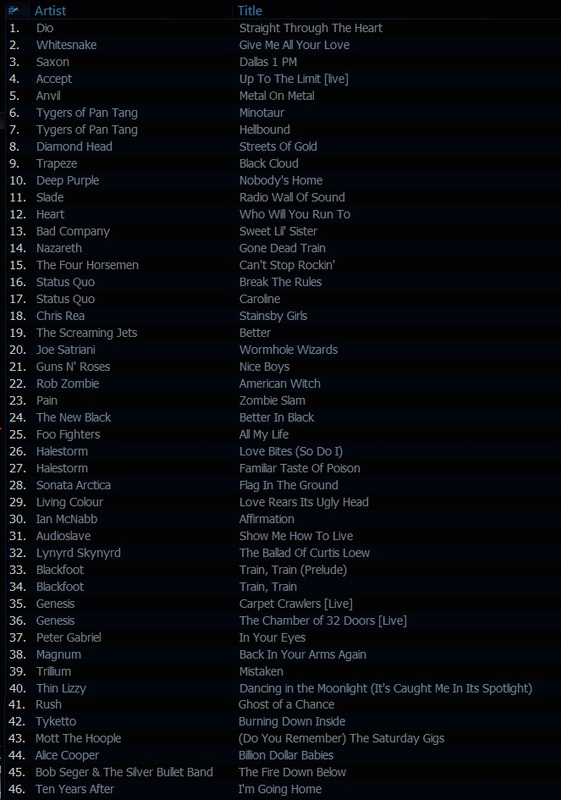 ← Missed any of last Thursday’s Classic Rock Show? You can crank it UP! !